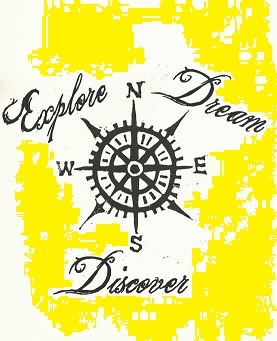 Our Mission is to make sure that you and or your business EXPLORE, DREAM & DISCOVER all you can be. Unemployed. Underemployed. Unhappy in your employment. Unhappy in your life. Looking for new opportunities, a job or a change of job? Need help? One of the biggest reasons people don't get a career coach is that they think they can't afford one. And yet if a career or a life coach means that an individual obtains a paid position just one month sooner than they would have had they not hired one or realigns their life to be a more rewarding one; the coach was a great investment. However the reality is that anything less than ten sessions doesn't make any difference. Good life and or career coaching includes not only things such as resume and cover letter editing; but a comprehensive set of services that may include services such as these but also covers understanding the new human resources processes and technologies out there, role playing various situations and critically maintaining motivation and momentum towards obtaining ones goals in life and career. SPECIAL FOR 2011 COLLEGE GRADUATES: Sign up and prepay now through June 15th for a package of twenty hours and pay only $1500. Regular Rates: $95/ hr two hour minimum. Checks and Paypal accepted. eBook: It's Not the Job It is You Available on Smashwords. To order NOW click HERE. Has your life or career sprouted leaks? How to repair your life and career in a web 2.0 world... get the eBook and start taking control.